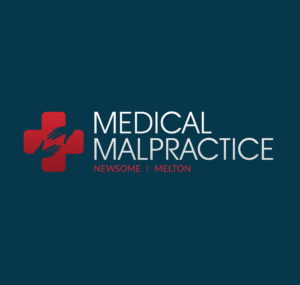 If you or a loved one have experienced medical malpractice, the laws that govern how malpractice cases can be filed may be confusing. All states follow certain general principles when it comes to medical malpractice laws even though their laws may vary. Florida law requires that you follow certain procedures before you can file your medical malpractice lawsuit. Although your Florida medical malpractice lawyer will be able to guide you through these steps, it may help you to have a general idea of what to expect. Florida law states that you have to file your medical malpractice lawsuit within two years after you discover (or reasonably should have been expected to discover) the injury caused by medical malpractice, and no more than four years after the malpractice took place. If you are in any way responsible for your medical injuries, for example by ignoring your doctor’s advice or failing to take prescribed medication, you can still file a medical malpractice lawsuit. The amount you can recover for damages, however, will be reduced based on how much of the fault lies with you in relation to your doctor’s fault. Florida medical malpractice law follows a system known as “pure comparative fault.” In simple terms, this means that your health care provider will have to pay a percentage of damages based on the percentage of his or her fault. This is true even if the doctor’s portion of the fault is minimal and you were mostly to blame for the injury. If you name multiple defendants and you are awarded damages of over $25,000, each person will be required to pay a portion of the settlement based on their degree of responsibility. If you had medical bills or lost wages because of medical malpractice, these economic damages will have a dollar amount for which you can seek reimbursement. You can also sue for non-economic damages such as pain and suffering. Since these are not as easily measured, some state laws place limits on the amount of money you can receive from a medical malpractice lawsuit. For several years Florida’s cap on non-economic medical malpractice allowed two people with drastically varying injuries to be given the same settlement. This ended in June 2017 when the Florida Supreme Court Supreme ruled it unconstitutional for laws to limit pain and suffering compensation. The specific elements of your lawsuit will be dictated by procedural rules and laws of your jurisdiction. An experienced medical malpractice attorney can help you understand Florida’s laws and answer any questions you may have.